Edward Snowden’s intelligence leaks damaged the security services’ war on terror, crippled spy agencies, aided terrorists and failed to reveal evidence of mass surveillance, according to a radical neoconservative think-tank. In a “major study,” the Henry Jackson Society argues that far from informing the world’s citizenry about the excesses of military and intelligence agencies, former NSA contractor Edward Snowden caused massive damage to the institutions charged with security. Among the charges levied against Snowden, it is claimed several Al Qaeda-linked groups altered their security procedures, codes became harder to crack and technology firms became less willing to cooperate with spy agencies as a result of the leaks. The report, ‘Surveillance After Snowden’, argues claims of the “mass surveillance of ordinary citizens or brazenly looking at their emails” are simply untrue. Report author Robin Simcox argues that the relationship between public and agencies need to be reengineered to ensure a “greater societal acceptance” of spies work. He told the MailOnline: “Western citizens are generally happy for the state to have an army with sophisticated weaponry because they know that it will not be misused; there is a faith that the checks and balances are sufficient to ensure public safety. He said that far from brining agencies into disrepute, Snowden “only exposed that our agencies are essentially doing what we ask: they are not spying on the phone calls of ordinary citizens or brazenly looking at our emails; they are legally intercepting certain communications in an attempt to advance the national interest. The Henry Jackson Society’s views run contrary to those of other interested parties. Some in the intelligence community argue that far from forcing spies onto the back foot, his revelations changed very little. In March this year, the head of Norwegian intelligence took precisely that view. Norway’s then-spy chief Kjell Grandhagen said there have been virtually no changes to the way the US National Security Agency (NSA) and its partners operate. Other say the Snowden leaks represented a positive catalyst for change, including a number of senior intelligence officials from around the world who gathered for a conference in Ditchley Park in Oxfordshire last week. 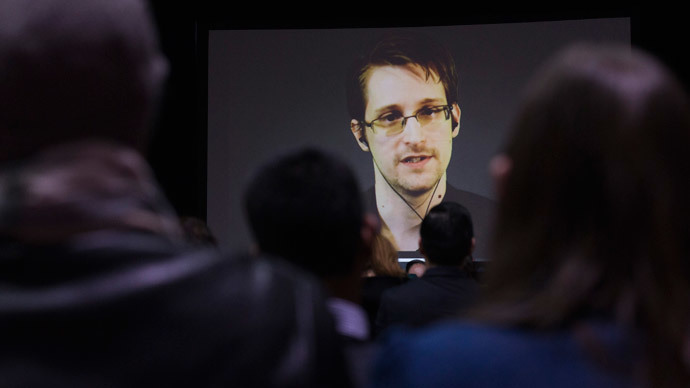 “No-one tried to debate whether Snowden was a villain, traitor or hero,” he added.